We are greatly pleased that you are visiting our website and hope you will dine with us soon. 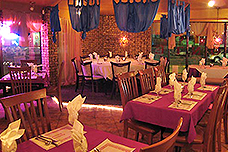 Mantra offers authentic and tasty Indian food in a very romantic, inviting and beautifully decorated space. We offer an extensive a la carte menu at affordable prices, and well stocked with local and foreign wines as well as beer on tap. Attentive and friendly service that has made Mantra already so well known. Besides a couple of specialties, all of our dishes can be prepared mild, medium or hot. Do not forget that spiced doesn’t mean hot. © 2019 Restaurant Mantra. All rights reserved.